I’m not even going to lie…we’re limping to the finish line. It’s so weird. Here in Texas, some schools have been out for weeks (my cousin’s kids have been out since mid-May) and others are still in school. #us So, my kids have this false sense of reality. They think it’s summer…but it’s still a school night. 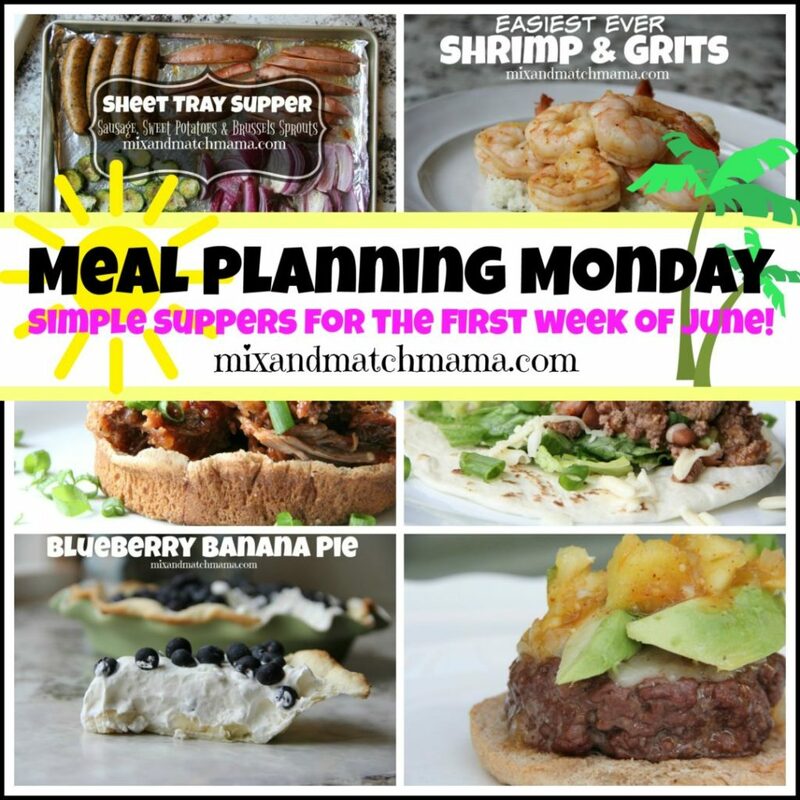 This week, dinners are EASY. That’s the word. EASY, EASY, EASY. 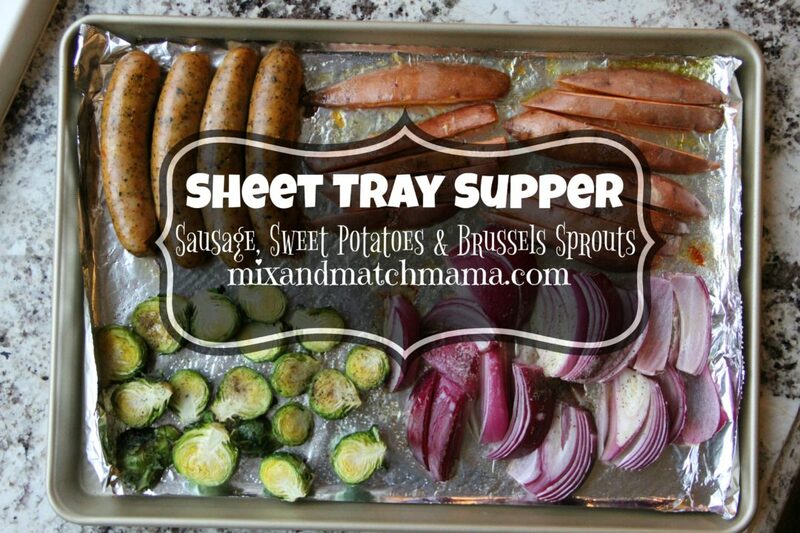 My Sheet Tray Supper with Sausage, Sweet Potatoes & Brussels Sprouts couldn’t be simpler. Throw everything on the sheet, roast, eat and toss the foil as your clean up. Easy as that for a Monday night! 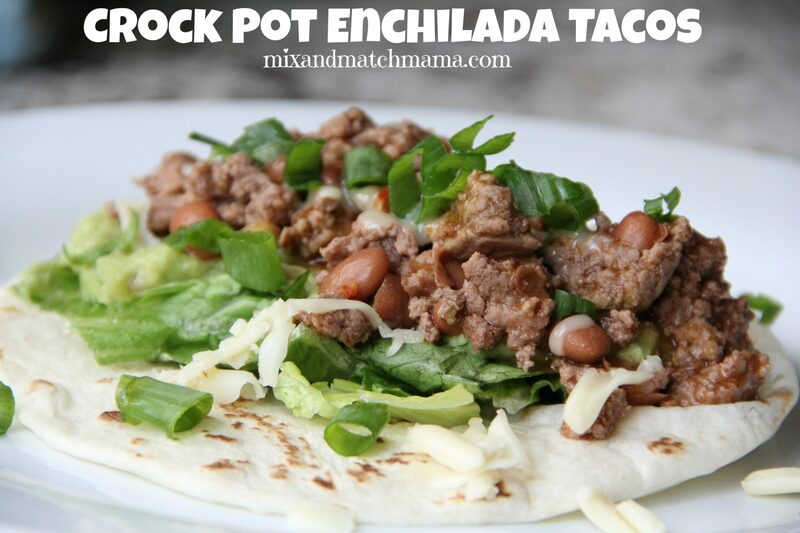 Crock Pot Enchilada Tacos are a HUGE hit around here! 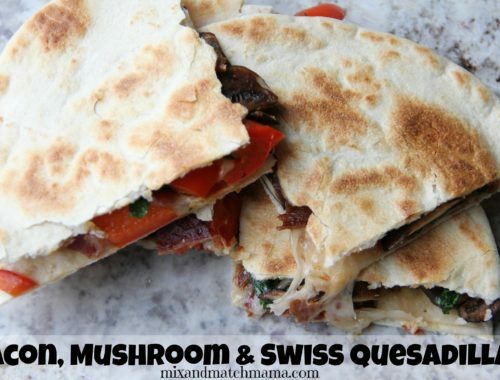 We make these for supper all the time because they’re yummy and EASY! 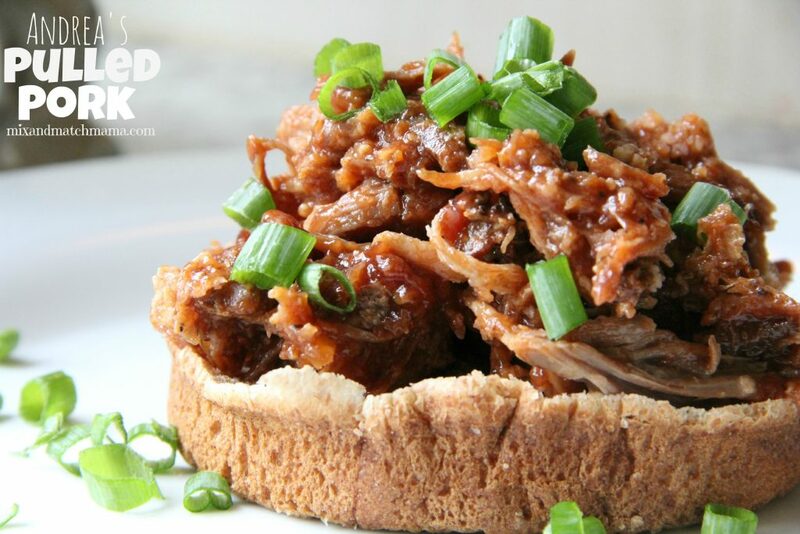 Andrea’s Pulled Pork literally goes into the slow cooker and out as dinner. It is THE BEST pork you will make in your home. Let it cook all day and then enjoy dinner that night. My kids are BIG fans of shrimp. 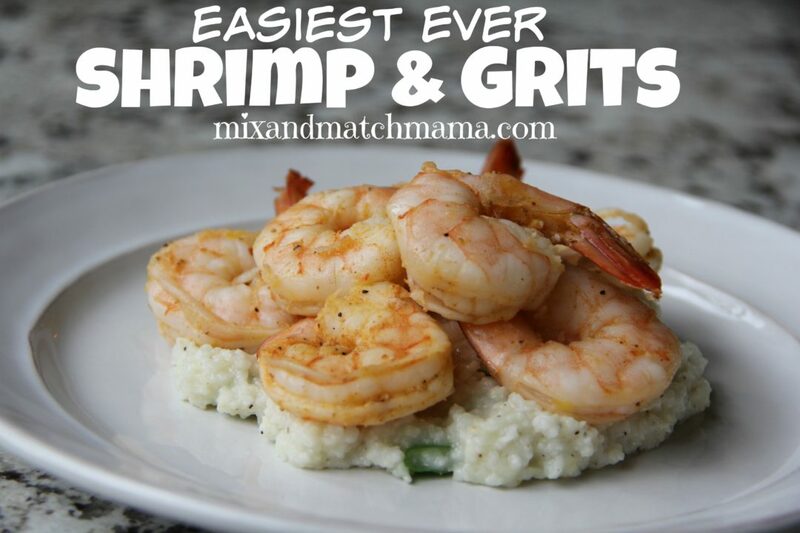 My Easiest Ever Shrimp & Grits will be a huge hit for your family! 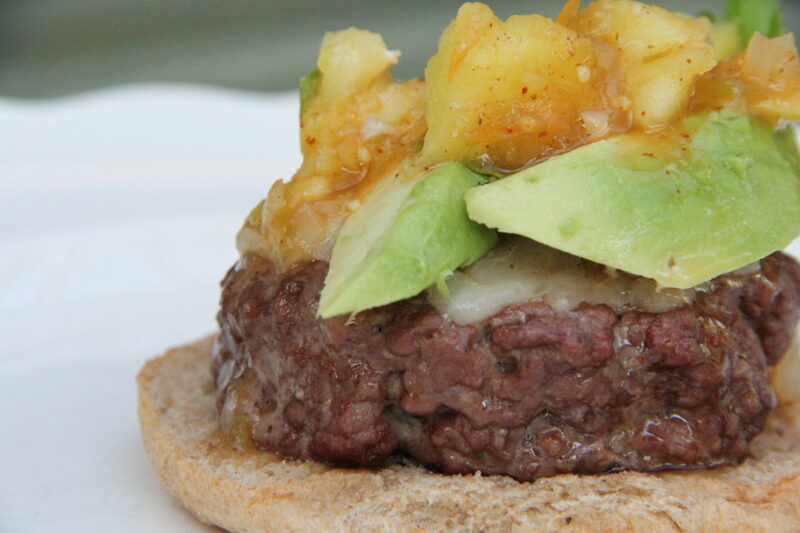 And wrap up your week with my Tomatillo & Pineapple Burgers. 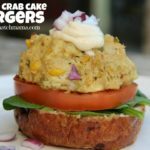 A whole lot of flavor in one juicy burger! Looking for something sweet this week? 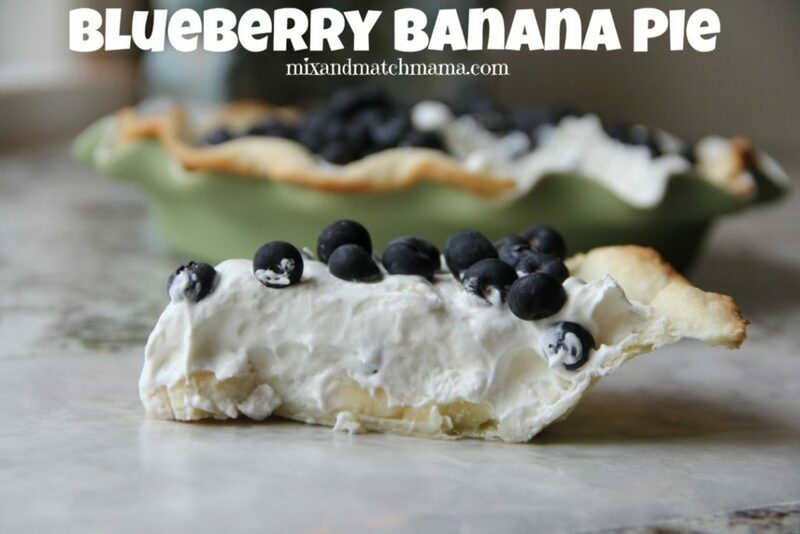 Try my Blueberry Banana Pie. This one is perfect for summertime. Happy Monday, friends! I hope you have the BEST day! We love your sheet tray suppers, and those tacos and pulled pork are the best!! Yum! We are limping right there with you! Come on summer! I remember you taking a poll on whether or not you should get an InstantPot – did you? If so, I’d love some of your meal ideas. I decided against it! 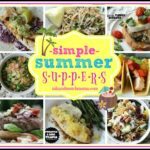 After my poll, I had many people tell me why I’m not an Instant Pot girl and I listened 🙂 . I just made your sheet tray dinner tonight. Subbed multi colored carrots for sweet potatoes otherwise followed your recipe. Super simple, super delicious. I am saying yes to sheet trays this summer and adding some fresh herbs for even more flavor. 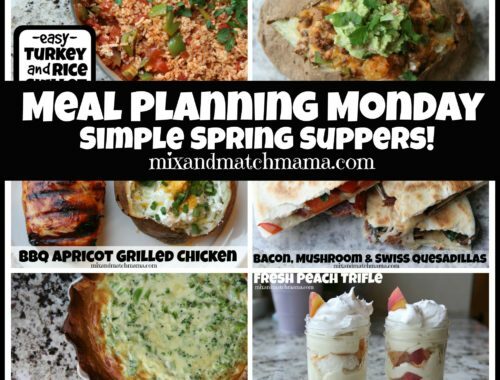 Hi Shay… I know this sounds supremely lazy 🙂 but I was wondering if sometime you might consider doing a menu of dinners that use rotisserie chicken? I’m going for a whole “work smarter, not harder” cooking philosophy this summer (LOL), but I’m afraid that I’ll get stuck in a chicken salad rut! 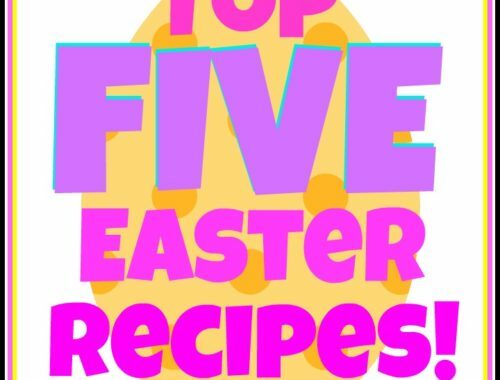 Thanks for sharing so many wonderful recipes with us! Yes!!! That’s a great idea! In almost all of my recipes where I call for poaching chicken in the slow cooker (the lazy girl’s way to do it), I mention rotisserie chickens as a sub.